Renault India finally launched its much awaited compact SUV, Renault Duster in the Indian car market. The SUV was certainly worth the wait. There are so many high points of the car, which takes it a couple of notches higher in the segment. The SUV has been launched in both diesel as well as petrol. The Renault Duster Petrol RxL is the second petrol variant that is loaded with ample of advanced comfort features along with good safety traits. Firstly the engine under the bonnet in this variant comprise of 1.6 litre of multi-point fuel injection type petrol engine that produces peak power of 102PS with 145Nm of maximum torque. The five speed manual transmission mated with the engine makes the SUV to deliver a decent mileage of 13.24km per litre. The exteriors of Renault Duster Petrol RxL have been done with utmost care. The dynamic and sporty appeal makes the SUV look much bold and masculine as compared to the other available in the market today. The interiors are blessed with some very premium features, like seats upholstered in beige colored fabric, keyless entry, air-conditioning system with heater, electrically adjustable ORVMs, steering mounted audio controls, 2-DIN audio system and so on. The exteriors of the newly launched Renault Duster RxL are appealing and alluring from every angle. The car is about 4.3 meters in length, but it surely does look a lot bigger than that. There are many things in the exteriors of the car that would lure you towards it substantially. The front profile of the car has very sporty attitude that is defined well with the stylish grille dipped in chrome. The grille is accompanied by Renault badge, which has been placed in a very accurate position. Furthermore, the twin barrel type headlights with clear fog lamps are well-carved out on the dual toned bumper. The side profile for the car is as attractive as the front. The properly carved out wheel arches with 16 inches of alloy wheels and chrome-satin ORVMs are mated with body colored handles and stylish roof rails. Even the ground clearance is perfect. The rear end of Renault Duster Petrol RxL features edgy and curvy tail lights that are nicely blended with the emerging rear bumper. Renault Duster Petrol RxL is blessed with premium and utterly comfortable interiors. The lavish feel makes the ride and drive for the passengers extremely pleasurable and relaxing. The interiors of this car variant comprise of seats upholstered with trendy beige colored fabric, metallic champagne silver finish has been given to the steering wheel while the chrome finish has been provided to the gear knob. The floor here has been done in glossy piano black and the similar finish is given to the centre fascia. On the whole the car interiors of the car are luxurious and impressive, which make the car variant better than other compact SUV available in the market today. Under the bonnet, the new Renault Duster RxL is bestowed with a brawny and robust 1.6 litre of 16 valve petrol engine . The engine uses multi-point fuel injection type, which pushes it to deliver a peak power of 102PS at the rate of 5850rpm together with 145Nm of maximum torque at the rate of 3750rpm. This 1598cc of engine is intelligently mated with five speed manual transmission that assists the car in delivering a good mileage of 13.24 km per litre. Coming to the acceleration and pick-up, the Renault Duster Petrol RxL doesn’t let down at all. The SUV has a top speed of 160kmph and goes from 0 to 100kmph in just 11.5 seconds. Overall, the technical specifications of the freshly launched Duster RxL Petrol are first class and make it a high performer on road and off road. The braking and handling of the car are superb. The disc brakes are present in the Renault Duster Petrol RxL, which are extremely effective in case emergency brakes are applied. The suspension system of the car comprise of McPherson Strut with double wishbones on the front and deflected H Torsion beam at the rear. The setup of the suspension system is similar to hatchbacks. Furthermore, the suspension system present here amplifies the overall driving of the car and make it completely smooth and easy for the driver to drive the SUV on the rugged and rough Indian topography. Another highpoint of Renault Duster Petrol RxL SUV is its hydraulic power assisted steering wheel that helps the driver to glide the car smoothly even on the narrowest turns of the road. 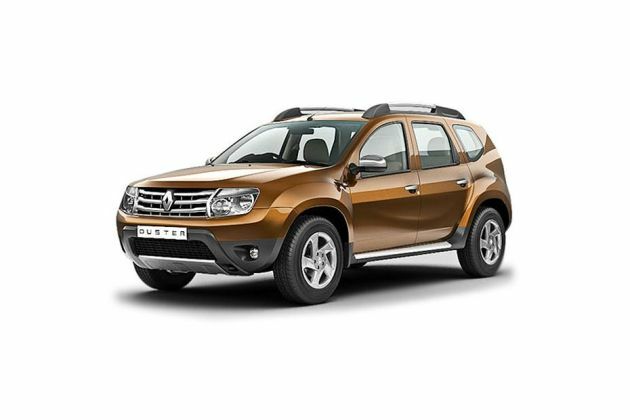 Renault Duster Petrol RxL is not very superior in terms of safety features, but the safety features are enhanced as compared to the base variant of the car. this variant however still misses out on the anti lock braking system with electronic brake force distribution system , brake assist and dual airbags, but still the car is bestowed with numerous other safety characteristics. These include in engine immobilizer, door open warning lamp, front fog lamps, rear defogger, driver seat belt reminder, central locking system and engine protective under guard. The comfort features of Renault Duster Petrol RxL are much more enhanced and intensified as compared to the base petrol variant of Duster SUV. The premium interiors are well-complemented with numerous comfort and convenience features. these comfort features comprise of air conditioning system with heater, power windows with illuminated switches, keyless entry, tilt steering column, electrically adjustable ORVMs, foldable rear seat backrest, rear seat center armrest with cup holder, adjustable rear seat headrest, 2-DIN audio system (Mp3/CD/AM/Fm) with four speakers and Aux-in and Bluetooth interface, steering wheel mounted with audio & phone controls, on-board trip computer, headlight alarm and height adjustable front seat belts. All these features make the Renault Duster Petrol RxL SUV worth the amount spent on. The highlights of Renault Duster Petrol RxL SUV consist of good interiors, awesome looks, decent mileage and affordable price tag. The Renault Duster Petrol RxL SUV doesn’t feature ABS, EBD, brake assist and dual airbags.